We are a systems genetics and synthetic biology group interested in repurposing model organisms by replacing human genes in yeast and other simplified cells. Our laboratory will aim to engineer human biological processes in simplified cells to study disease and evolution. Ms. Ren, who is currently a BIOL490 undergraduate student in the lab, received the NSERC Undergraduate Student Research Award to continue her work in the lab throughout summer 2019. Congratulations! Kachroo Lab received the first competitive NSERC Discovery research grant from NSERC. Dr. Aashiq Kachroo was also awarded CRC Tier 2 position in Systems and Synthetic Biology. Kachroo Lab received generous support for infrastructure from the Canada Foundation for Innovation. 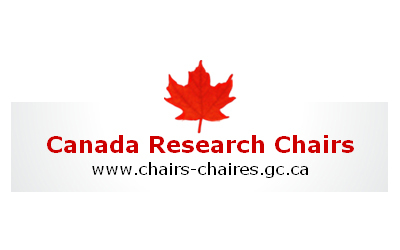 We thank the NSERC for their support towards developing Early Career Researchers. We also thank reviewers for positive criticism, tremendous enthusiasm and endorsement of our research program. Welcome! Farhat Zafar, Devina Singh, Sarmin Sultana and Courtney Gamache. They all joined the Kachroo Lab as Master’s students in 2018 and the begining of 2019. Many congratulations to Mudabir Abdullah for his selection in a highly competitive and prestigious ‘Yeast Genetics & Genomics 2018’ course at Cold Spring Harbor Laboratory, NY, USA. He also received HHMI sponsored fellowship to cover partial cost of the course. We thank the organizers and the sponsors for this honor. While Mudabir is preparing hard on bench for this course, he is especially training for the famous ‘Plate race’ that has been a critical part of this course!!! We wish him well for both.